What if everything works against you? Sometimes, everything seems to go against us. Even the most successful people sometimes have hard times (usually even more than average). The main difference is how quickly we get out of a crisis. I had written about this some time ago. 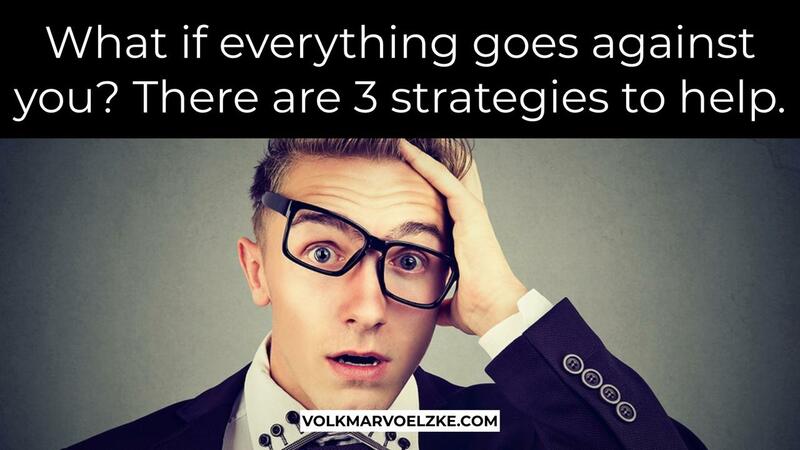 Today I have three tips on what you can do immediately to turn a negative situation around - or at least alleviate it. Focus. "Energy flows to where focus goes," is an old and true saying. You know this from skiing and any other movement: you will move to where you look. Therefore: consciously change your focus from problems to possible positive aspects or solutions. This is often difficult, but always possible. State. Your personal physical and mental state reflects the external situation. By radically changing your state, you change your perception of the situation - at least partially. This could be, for example, changes in the environment, your posture and the people around you. Action. We change our low energy state in negative situations by moving into action. Often, we can completely redirect our thoughts through massive action and re-evaluate the negative situation. You can also use the same tips the next time your team is in a rather negative state. Try it out: it works.